Besides public speaking, I also like to write articles, blog posts, and even books! On this page, you can read all about my writing and wherever possible I will link you to the relevant website. If you’d like me to write for you, just reach out to me at gerald@verslu.is and we will work something out. You can find my blog at blog.verslu.is, it is mostly about Xamarin but don’t be surprised to find any other development posts on there as well. Whenever I have learned something new myself or for example, answer a question on Stack Overflow, I try to write a post about it. Sometimes I will be more active than others, but I try writing a new post regularly. You can preview a couple of my latest posts at the right. After writing several articles and a lot of blogs, I decided it was time to write my very own book. This was a long time dream of mine and now I didn’t write just one book, but I did a total of three! Learn everything you need to set up a full-featured, automated pipeline for Xamarin development and deployment. Automate everything from the build step through to deployment and delivery to your customer. If you thought this level of automation could be achieved only by large companies with generous funding, think again! You as a single developer, or working in a small team or company, can automate your processes to punch heavier than your weight. What’s more, you can achieve this level of automation completely for free! This hands-on guide takes you step-by-step from setting up your first automated build all the way to integrated unit testing, and finally through to delivering a high-quality app to your testers and end users. The automation presented in this book saves a lot of frustration and recurring work, providing you more time to focus on building the robust and compelling apps that delight your customers and keep you steps ahead of the competition. Not only does this book teach how to get a grip on consistent quality, but it covers the use of HockeyApp to track events and usage, and to report errors and anomalies back to home base for developers to investigate. Many times it’s possible to detect and fix errors before a user even notices they are there. Soon after that, I really wanted to do another book. This time I wanted developers to learn how to build their own Xamarin.Forms application. In Xamarin.Forms Essentials you can read just that. Purposely I wrote the book not as a dog-fooded, step-by-step guide, but more as a general overview. I have tried to describe the hurdles that I took when I just started out, combined with the best practices that I’ve learned over time. Learn the bare essentials needed to begin developing cross-platform, mobile apps using Xamarin.Forms. Apps can be easily deployed to Google Play or to the Apple App Store. You will gain insight on architecture and how to arrange your app’s design, where to begin developing, what pitfalls exist, and how to avoid them. Also covered are expected new features in Xamarin.Forms 3.0, so you may be prepared ahead of time for what the next release brings. 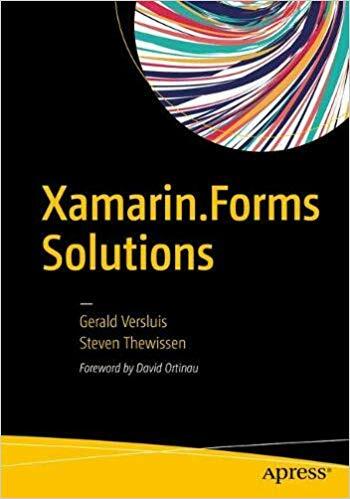 Xamarin.Forms Essentials provides a brief history of Xamarin as a company, including how their product has become one of the most-used, cross-platform technologies for enterprise applications and app development across the world. Examples in the book are built around a real-life example that is an actual app in Google Play and in the Apple App Store, and has thousands of downloads between iOS and Android. You will learn how an application is set up from scratch, and you will benefit from the author’s hard-won experience and tips in addressing various development challenges. Together with my good friend Steven Thewissen, I decided to do yet another book. In this book, we go over the basics of Xamarin.Forms concise but just enough in-depth. From there we go over a lot of common scenarios that you come across when building real-world apps. In each solution, we guide you from the problem to how to solve it. If you did buy one of my books, please let me know your thoughts and if you really liked them, don’t hesitate to leave a review at the webshop where you got it. If you have any questions or remarks, I’d love to hear from you. Please reach out. Underneath you see the magazines I have written articles for, along with a link where you can read it. Filled with knowledge by Microsoft MVP’s and industry veterans, the DNC Magazine is a well-known and appreciated online magazine. At some point, they have reached out to me to provide them with Xamarin related articles and I have had the pleasure to write some articles for them over the years. The Software Development Network (SDN) Magazine has existed for many years now. I have been privileged to be writing a few articles for them. Being a Dutch magazine, most of the articles are in Dutch as well. 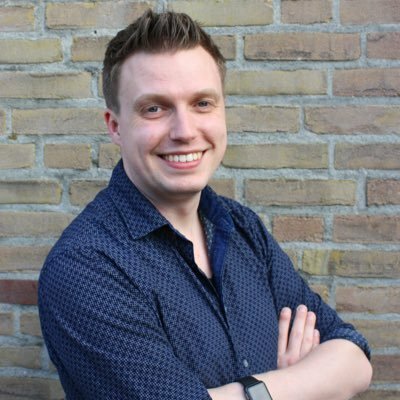 #129 (July 12th, 2016) – Leg je eigen (gratis) mobiele ontwikkelstraat aan!